Socky is a lot like other soccer balls, but with one big difference: Socky has feelings. 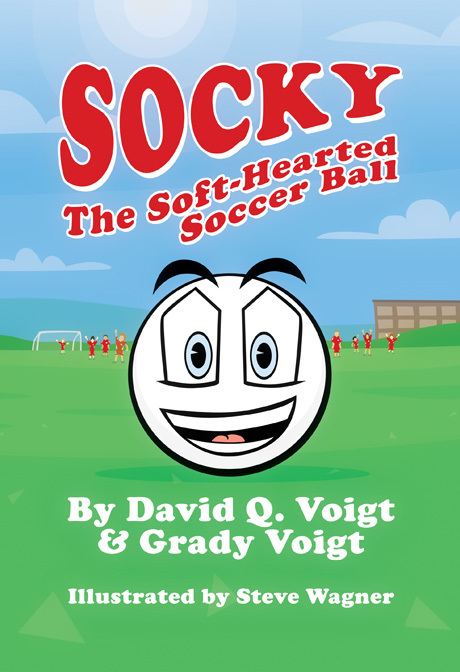 When a bully threatens the little kids’ soccer team, can Socky stand up for them and save the day? David Q. Voigt and Grady Voigt are grandfather and grandson. Grandfather David is a retired professor who taught at Albright College in Reading, Pennsylvania. Grandson Grady is a student at Wilson High School in West Lawn, Pennsylvania.